There are some things that unite all actor websites: they should be easy to update, scale to multiple platforms, and be unique. No templates! I get it because I'm an actor as well as a designer - I know that it is easy to feel lost in a sea of talent. So while I have my finger on the pulse of what the "industry" wants (video clips!) I care more about what you want - it's gotta feel personal. 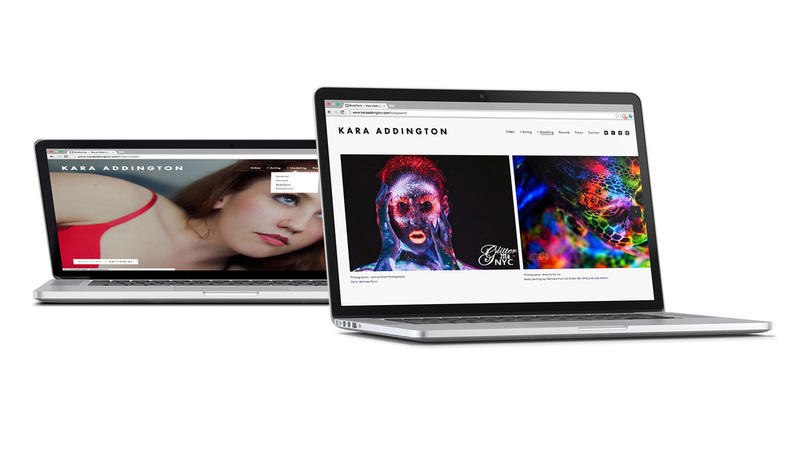 Kara wanted a clean site to stand out and show off her many sides: a dynamic and super approachable personality, and a dual career as an actor and model. We worked with colorful and clean headshot outtakes (fully edited for the website) to bring her personality to the forefront and two drop down menus for acting and modeling. the platform allows me to update the content on my site easily, and as often as I'd like. Over a year after its launch, I still couldn't be happier with the result! Sam has done an incredible amount of stunning work in film and was very certain of what she wanted: not just another actor site. 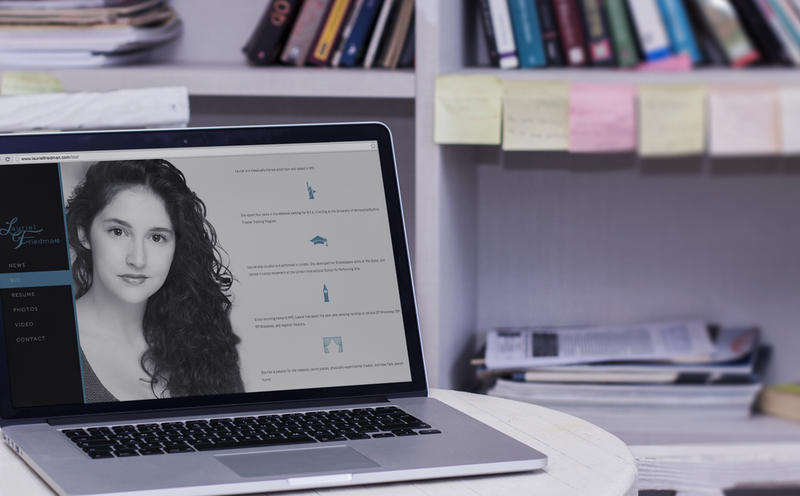 So we worked to find non-standard (read not a headshot) photos to represent her- all pulled from film stills- and integrated them into a single page parallax scrolling website. By the time you reach the bottom you know her and are impressed. Elann is a New York based actor who is constantly creating his own work: podcasts, storytelling, karaoke - plus all of the projects he becomes involved in! He wanted a platform to simply and elegantly showcase his many talents and interests so we worked to create a single page portfolio that scrolls through a gradient and highlights his best work. Plus, he has the option of directing prospective collaborators to a single page that highlights a single skill. Lauriel is a NYC actor born and raised - and wanted an acting page that captured the duality of her work: classical theatre with modern gumption. So we decided to go super simple and strong with black and white images, interactive navigation, a colorful splash page, and some beautiful details to add character. Zach does it all: music, theater, film... so we kept the design simple and focused on what represented him best: an image with a guitar slung over his shoulder.